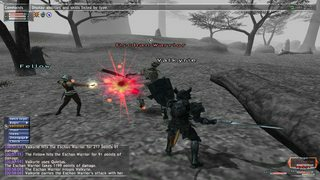 PVP system with PvP contest sign ups(For rare custom rewards). 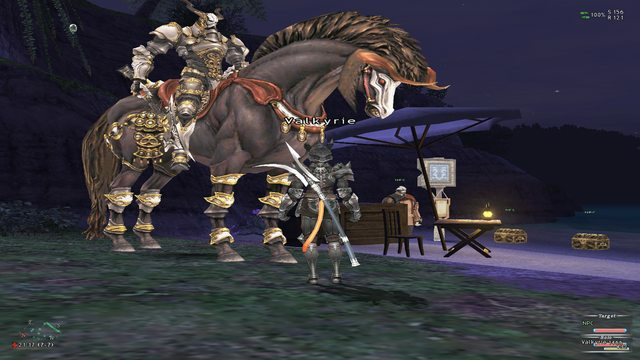 Valhalla provides a completely free and unique twist for Final Fantasy XI. 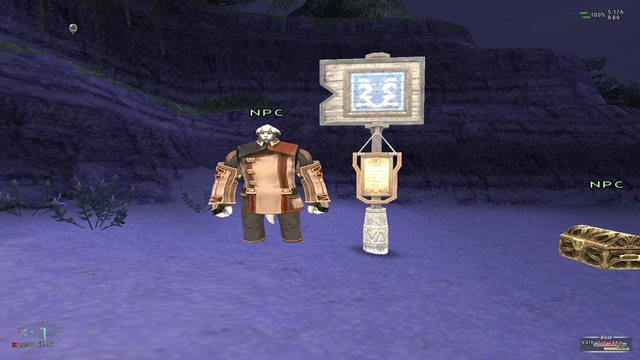 Originally joining the scene in 2012, we have utilized the DarkStar Project to forge our ideas of a Vana'diel that everyone can enjoy without the hassle of subscription fees. We believe in creating a safe, positive, and entertaining environment with regular improvement from player suggestions. The server is built with some custom modifications to the retail settings to allow progression through the game in both solo and party play styles. Our veteran team works out of their spare time and capital to host and maintain the server without requiring any donations. Join us in our journey to reminisce in the best that the game has to offer. Crafting Rate = 2.6x * See custom content. Resting Rate = /heal now scales with level and HP pool size. Guild Vendors = Yes. * Including custom shops. Guild Points System = Yes. Wait Timers & Reduced wait timers for Dynamis, Cosmocleanse, Relic construction. +1 EVA per 2 levels. Custom Foods, Effects & Mildly buffed. Nothing too crazy. Diorama - Ghelsba Outpost and more. ToAU / WoTG - Some missions are working, but not all of them. SoA - Only areas are available to explore. 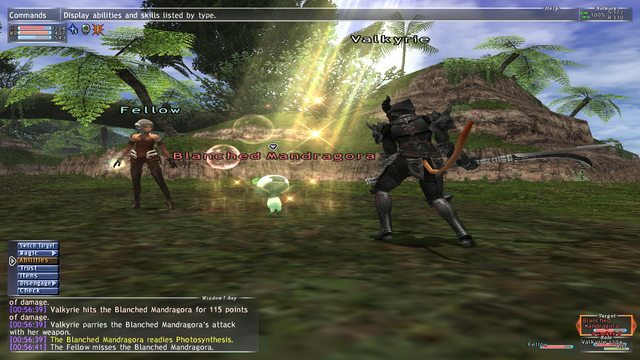 * Valhalla adds a new FFXI experience while maintaining the retail aspects. Lots of content that acts as an aside or an alternative to what a player will normally do to progress through. * The level ceiling is 90. This includes old-school Lv 75 mechanics, with more spells, job abilities, job traits (dual wield, triple attack, TH3 in some cases), improved solo play, brand new items/weapons/armor, adventuring fellows (similar to Trust), new areas to explore (some you may have never seen), and more. * Effort required will reward you with some pretty badass character configurations and that sense of accomplishment we all love. * Players can take advantage of the Perk NPC System. Custom features (additional traits/job abilities, augments, etc.) are meant for assistance and customization of your character. This will be expanded over time. * It is possible to get an Adventuring Fellow that you can control through pet commands. It has working battle animations but does not weapon skill at this time. * Realize that some mobs are naturally resistant to certain types of attacks. This is part of the default game. * Always make sure to use the /check system. If it says the mob is "impossible to gauge" then bring a friend or two. * If you really want to solo a certain NM, it is probably possible to do, but it depends on too many factors to list. * The hardest mobs you'll encounter very-late game and are manageable in a small party. Exceptionally Hard NMs (ENMs) which were added to retail, Have been introduced as content for Groups/End-game linkshells. * If you need any help, you can always ask the community in-game or post in the Looking For Group section on our Forums. @commands - Lists all available commands in-game. @mog - Instantly teleports you to the Mog Garden. @partywarp or @pw - Warp to the party leaders location. 15 min cooldown. @shop = A mobile shop with Scroll of Instant warp, Potions, Remedies, and more. @shop food = A shop with common and modified foods. @shop tools = A shop with gathering and ninjitsu tools. @shop crystals = A shop with HQ crystals for adding your name to items. @shop ammo = A shop with common ammos. * Most custom NPCs can be found in @mog or the Celennia Memorial Library. * The following daily quests are available for anyone. Some in the future may require harder to get items. Daily BCNM 1, Defeat a custom Lv. 20 BCNM, 1500 gil. Gathering: Crystals, 12x of any crystal, 1000 gil. Gathering: Seals, 5x Beastmen Seals, 1000 gil. * Valhalla has a customizable augment system that allows you to enchant whatever stats onto your weapons/armor. * Up to 4 augments can be added to one piece of gear at a time. * There are now 5 treasure chest looking NPCs in Mog Gardens (warp to it with @mog command). * Each NPC has its own set of augments. The amount of stats on an augment increases as well as additional augments. * To access better augments you need to increase your access level. * Access levels are granted through the Perk NPCs only. * You can only augment gear that have the same level range of the augment chest, i.e. Lv 8 Mana Tunic = chest #1, Lv 60 gallant coat = chest #3, Lv 80+ = chest 5. * You can remove augments at any time by trading - any - amount of gil along with the item to the NPC. It will remove the augments and return it to your inventory. This is not reversible so use caution when trading. Perk NPCs allow additional settings to be unlocked through trade or gil purchase. Once unlocked these perks remain active on your character indefinitely (except extended buffs as noted). * By using the class trainer NPC, you can unlock ability boosts (bonus effects). * You can also learn custom traits and job abilities which become active on any job. * By purchasing these perks, they become active permanently. * Some perks are required before you are able to use a Signal Pearl to call an adventuring fellow. * Required for Signal Pearl use. * You can now obtain a Signal Pearl which calls forth an Adventuring Fellow. * In order to use this you must have unlocked "Global Pet Commands" perk via the Class Trainer NPC for 10,000 gil. * Must be equipped in your earring slot upon use. * The Signal Pearl has 30 charges. * Equip-cooldown is about 15 seconds. Reuse cooldown is 5 minutes. * It scales with your level, will auto-attack any target that you attack or attacked by. * It currently does not use weaponskills (this is being worked on). * Fishing Guild - Selbina - Sells Fish, including the one required for Sandy 2-3 mission, and those unobtainable normally. 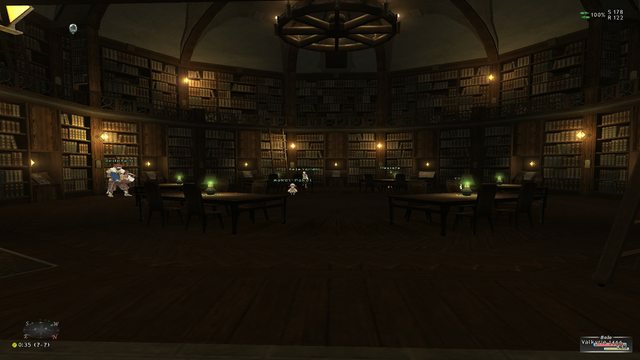 * Celennia Memorial Library - Various vendors including spell scrolls that are unobtainable by normal means. This area also has vendors for items that cannot be obtained through normal means. * More scheduled in future updates. The following currencies are able to be accumulated through killing mobs. + All mobs drop Cruor starting at Lv. 1. This allows you to start collecting early as you level. + Regular NMs will drop a bonus. + Being in a party adds a small bonus. + Mobs defeated in Abyssea zones will drop more of the three. + NMs defeated in Abyssea will drop significantly more currency. + NMs defeated in SoA zones will drop significantly more currency. + All party and/or alliance members get an equal amount. It is not divided or split up among the party or alliance. + Alexandrite can be acquired through daily quests and daily BCNMs. + Alexandrite drops in larger amounts from Cotton and Linen Coin Purses. + Coin purses drop from select BCNMs and areas. + Clusters will drop most often from elementals. + Beastmen/Kindred seals are removed from the 5 minute cooldown on the treasure pool. As long as the mob gives you exp you will have no problem obtaining these. * The Galka with the Signpost will allow you to exchange and upgrade to badass mode. * Some gear is only available through this NPC. * When purchasing Empyrean gear, you must have the required amount of currency to buy that piece. Future Implement, Being worked on. Plus Artifact Armor Piece +1 to Upgrade piece to +2. Auction House - All players now have access to AH wherever they are. Type @ah in chat to access the auction house. There is no limit to how many items you can place on the auction house. Items will stay on the auction house forever or until they are purchased by players. Daily trade in/bcnm - All daily completions now give 5,000 gil. Cross-Class Abilities/traits - Players can obtain abilities and traits from other jobs from a special NPC provided they meet the requirements to do so. These requirements can be anywhere from leveling a job to 50 or trading gil to obtain. Exp while crafting - Players can now level up jobs or get merit points by crafting. For every .1 skill up you get in a craft, you get 100 exp as well. Skill ups range from .3 to .9(Exp scales depending on skill up). You can get skill ups from crafting failures beyond 5 levels above your current craft level. Just as long as you are allowed to craft. Team up to conquer challenges and earn EXP, Gil, Equipment and Augments! Unique encounters with multiple sections of monsters containing NM bosses. Sometimes a Rare NM! New Augments: Earn new Dungeon Augments by defeating Boss NMs! Rewards: Increased Experience Points and Gil for defeating monsters! First Time Bonus: Completing a Dungeon for the first time, your party will get an additional 3x currency bonus! Boss Coffers: Treasure chests that appear with equipment! Mysterious Chests: Treasure chests with random loot and temporary items! Temp Items: Receive usable items to aid your efforts that restore HP/MP/TP to all party members or grant strong buffs! Last edited by nilas on Sun Dec 09, 2018 3:02 pm, edited 51 times in total. Last edited by nilas on Tue Jul 18, 2017 5:55 pm, edited 2 times in total. It's a small but nice community with very helpful players. The custom food, with the bonus effect from Signet, also helps a great deal with the leveling process. You need to be on the march update to play on ultros now, update thru pol and try again.